I’ve stayed out of the US election commentary on purpose. You know that I’m a practical, straight-to-the-point person when it comes to investing and I don’t like getting caught up in all the noise and drama. Now that it’s all over, next week I will weigh in with my views. Look out for that …but for now, let’s get practical. SQMs Louis Christopher thinks house prices could grow 16% in Sydney next year. It’s true there are a lot of cowboy property analysts out there. But Christopher isn’t one of them. In fact, SQM have one of the best track records around. I thought we were talking about a crash and the eastern capitals being swallowed by the sea. 16% is not Armageddon. Not even close. In fact, it’s positively booming. SQM Research forecasts an acceleration of dwelling price rises in Sydney and Melbourne with Sydney dwelling prices forecasted to rise 11 percent to 16 percent for the 2017 calendar year, while Melbourne is forecasted to rise by 10 percent to 15 percent. The capital city average forecast is for dwelling prices to rise 6 percent to 10 percent. The forecasts assume a stable interest rate environment, a stable exchange rate and no further home lending restrictions by APRA. 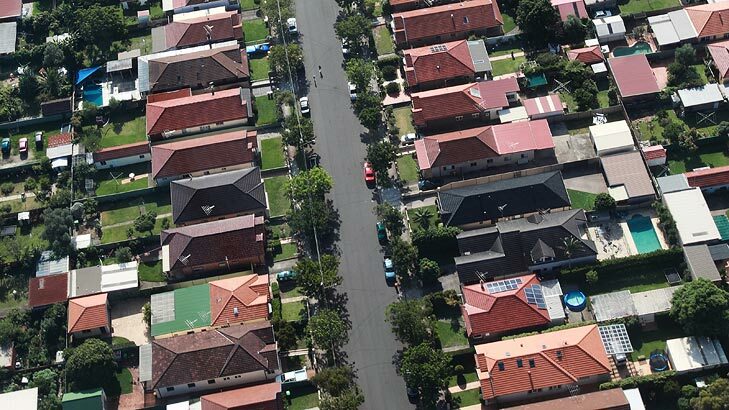 If lending rates are cut again by the RBA, Sydney and Melbourne prices could rise by up to 18 percent for the year as forecasted by SQM’s “Scenario 2 outlook”. The Scenario 2 outlook has three drivers such as a 0.25 percent cut in rates during mid-2017, APRA takes ‘more action’ after mid-2017 and the Aussie dollar ranges between US70-80 cents. Personally, I think a rate cut next year is more likely than not, so that means we could be looking at 18% in Sydney. Now that’s really starting to get in to crazy territory. But in a lot of way, Sydney’s fortunes are feeding off other cities’ misery. Prices in Darwin and Perth are expected to keep on falling, though Christopher reckons 2017 should put an end to price declines in those cities. Elsewhere, Hobart is expected to be the fastest growing city, behind Sydney and Melbourne, with dwelling prices rising a very respectable 7-12%. Brisbane is expected to keep middling along, with prices rising 3-7%, with the market been held back by an oversupply of apartments. Meanwhile, Canberra has now entered into a slow housing recovery with prices also expected to rise 3-7%. Adelaide is looking at more modest price gains of around 2-4%. So about 6% on average. That’s a far cry from where Sydney’s likely to be at. I think what we’re seeing here is the concentration of economic drive into the two big cities. We know that there were big population flows to the mining states during the mining boom – to Perth, Darwin, and less directly, Brisbane. Now that the mining boom has “transitioned” (and according to the RBA, now bottomed), we’re seeing those inter-state population flows reverse. So people are heading back to Sydney and Melbourne. At the same time, we know international migration is focused on Sydney and Melbourne as well. Together they take over half of all migrants, with a substantial number also going to NSW and Victorian satellite cities. And we know that Sydney and Melbourne are already bursting at the seams. So prices rises are inevitable. And with interest rates calibrated for national conditions, and state economies like WA really slipping at the moment, it’s likely that interest rates will fall further. It’s not hard to see how all that means a boom for our two biggest cities. Suddenly 18% doesn’t seem like such a reach. Personally, I don’t think we’ll see those kinds of numbers, but I think the trends are right. Low-interest rates, population flows and a fragmenting national economy are all drivers for Sydney and Melbourne. For the other cities, you’ll need to be more chosey. (You should be chosey even if you’re buying in Sydney!) You can’t rely on the macro factors to float you along. More than ever there are returns to knowledge and returns to research. Too rosy for Syd and Melb? Too pessimistic for the others?